Avoid Rushing sick elderly from other nursing homes for emergencies. 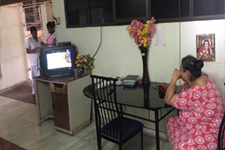 India hospital has unique Nursing home facility for elderly who needs medical attention also. All comfort of nursing homes with homely touch. 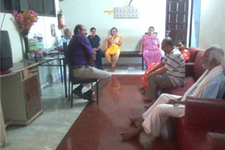 Bath attached single room, TV, Food, Medical and nursing help, all for Rs 20,000 per month for minimum of 6 months stay. Location of premisis is another added attraction. Walking distance from Rail and Bus terminals of this Capital city. Page Designed & Developed by Sitelet Global Solutions.